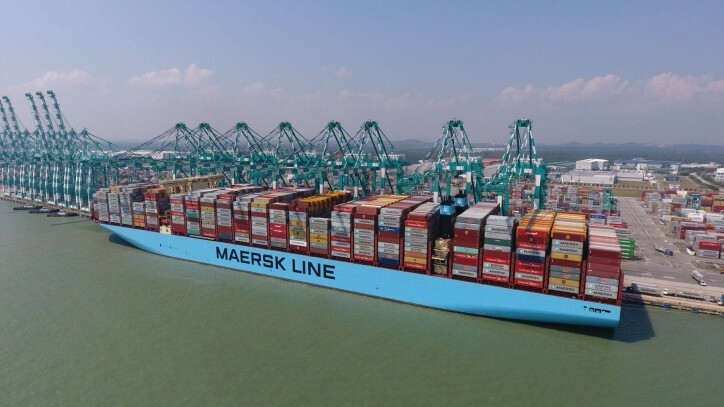 Maersk’s second generation Triple-E vessel Mumbai Maersk has loaded 19,038 TEU, setting a world record for highest-ever load for a single containership and surpassing the 19,000-mark for the very first time for any vessel in the world. The world record load has raised a new bar for Maersk, beating Madison Maersk’s record of 18,215 TEU, which was achieved in 2015. The ship left the dock of Tanjung Pelepas Port, Malaysia, over the past weekend and is headed toward Europe, its first stop being the Port of Rotterdam on September 5. The Mumbai Maersk has a nominal capacity of 20,568 TEU and it is the latest addition to the company’s Triple-E fleet. Namely, it was delivered in May 2018 and is deployed on the Asia-to-Europe service (AE5).